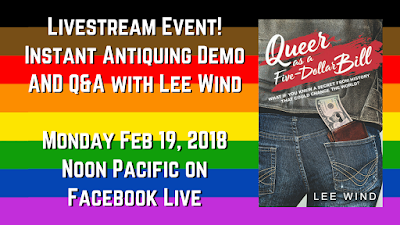 I hope you can join me for this Live event today, Monday February 19, 2018 at Noon Pacific time. In the first chapter of my YA novel, our main character Wyatt is doing one of his chores for his family’s Lincoln Slept Here Bed and Breakfast – instant antiquing brand-new laser-printed documents (copies of the Emancipation Proclamation) to make them look old and more “authentic,” even though everyone knows they’re not. It’s something they sell in their B&B’s Lincoln and Civil War Memorabilia Alcove. To write this scene, I had to figure out exactly how Wyatt would do it. So I experimented in my kitchen lab (okay, my kitchen) and, with some help from my brother John Wind, came up with the perfect recipe. 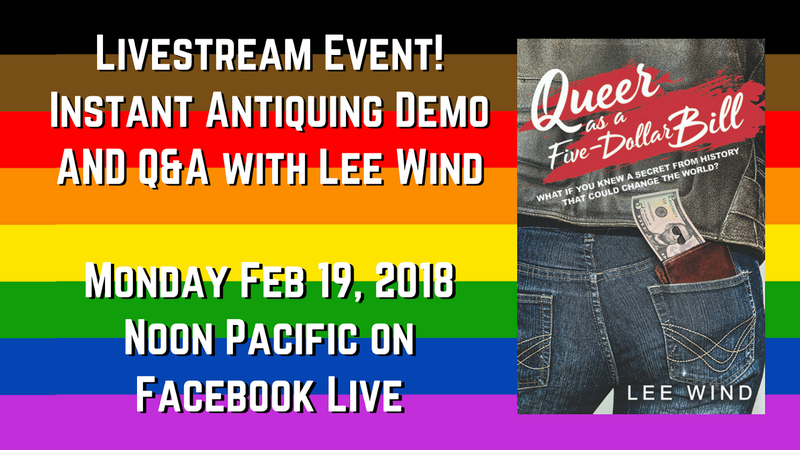 In this livestream event, I’ll demonstrate cooking-show style how you can make your own instant antique, and answer questions about the novel and the ongoing (and already past its goal) Kickstarter campaign to empower LGBTQ Teens with a secret from history! I haven't done a Facebook Live event before, so here's hoping the technology learning-curve is smooth. Here's also hoping you can join us! p.s. : If the timing doesn't work for you to join live, the recording will be available on my Facebook timeline, and I'll share it here after the livestream.